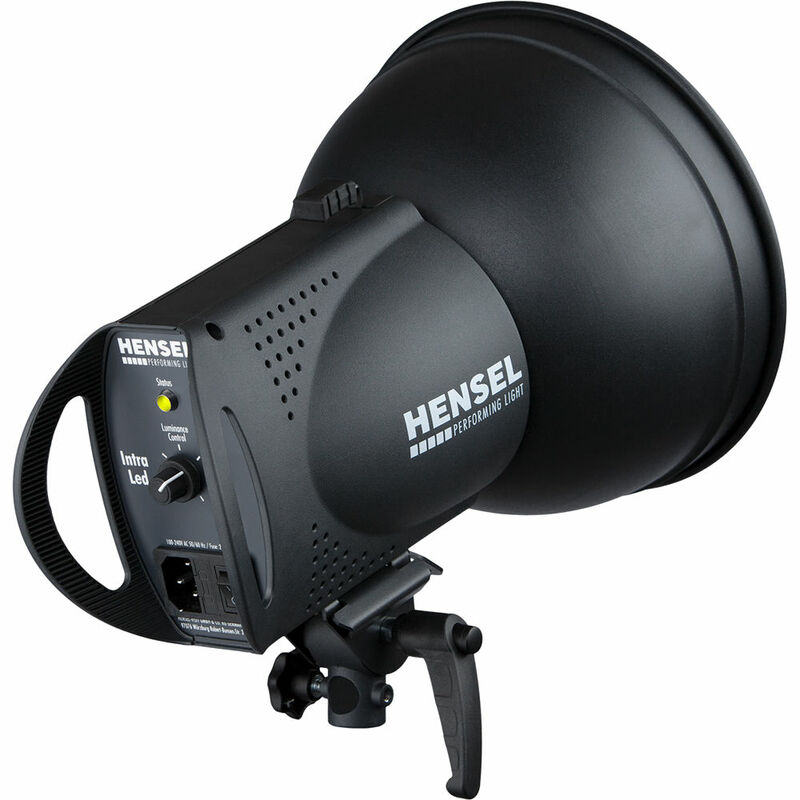 With its familiar, uncomplicated, user-friendly monolight-form-factor, the Intra LED Light from Hensel combines the power equivalent to a halogen light with the control and versatility of a fixture that accepts the wide range of Hensel EH mount accessories. The 10.2 x 8.3 x 5.5" Intra weighs just 3.2 lb, making mounting overhead on a boom, for example, viable. The daylight-balanced fixture's color temperature is 5000K with a CRI of 92. It has a light variable from 10 to 100%, and while the Intra consumes just 50 watts of power, it delivers the equivalent output of a 500W halogen fixture. The Intra is ready for worldwide use thanks to its universal 100-240 VAC power supply and comes with an integrated tilt/stand adapter, a glass protection dome, a transport cap, and an umbrella holder.